Refinanced in 2014 upon stabilization and held for cash flow. · Larger 178,209 square foot center. · Well located in Phoenix, West of Scottsdale and North of Paradise Valley. · Wal Mart (NAP) property next door and planned to expand into grocery. · Anchor tenant, Basha’s, declared bankruptcy and did not affirm lease in proceedings due to Wal Mart expanding into grocery at the location. · Shop space still highly occupied despite extended anchor vacancy, proving a strong retail location. · Existing loan had to be assumed due to large defeasance cost. · Release the vacant anchor space. · Update the image and look of the center through a mixture of stone, paint and façade work. 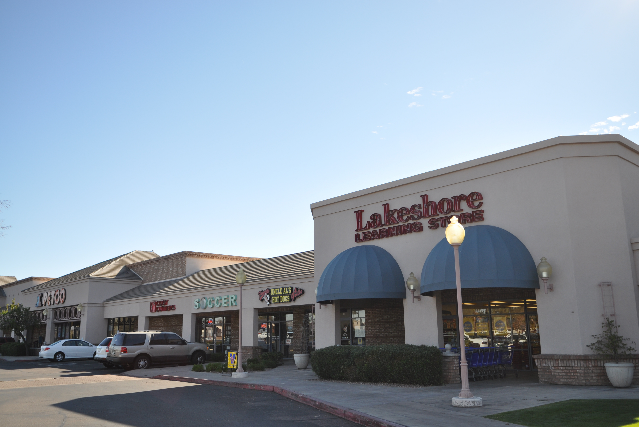 · Leased the anchor space to two tenants: Big Lots and Sprinkler World. · Designed and obtained approvals from the city to build outparcel. · Moved Starbucks to new out parcel with drive through. · Leased remainder of new space to Five Guys Hamburgers. · Value of $41,600,000 on refinance date. · Still owned and held for future cash flow.